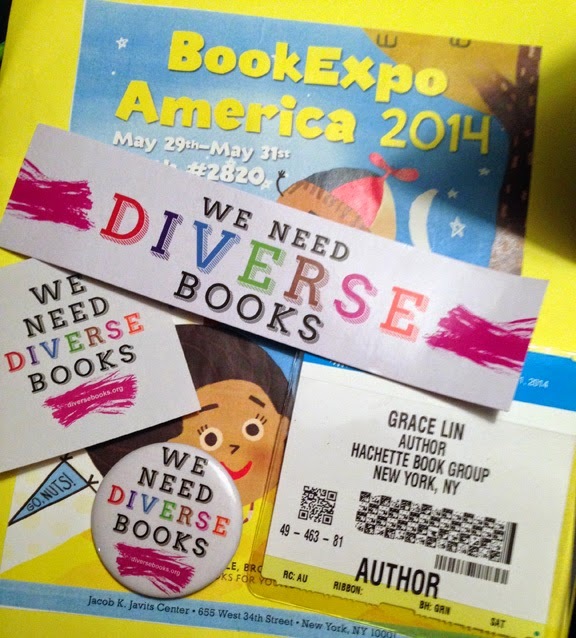 On my desk is the neat WeNeedDiverseBooks swag I swiped after the completely awesome panel discussion. 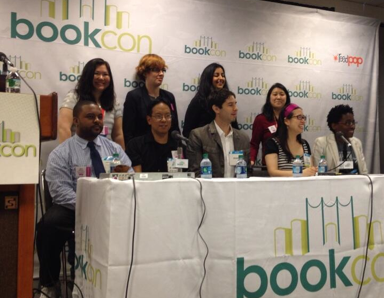 I was so honored to be here on the panel as well as in a packed room of people so passionate about diverse books! No disrespect to my attractive fellow panelists, but I think our view was the better one!